Size of this preview: 425 × 599 pixels. Other resolutions: 170 × 240 pixels | 340 × 480 pixels | 681 × 960 pixels. 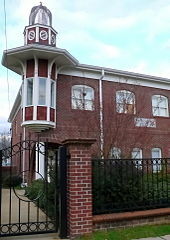 English: The Islamic Center of Tuscaloosa in Tuscaloosa, Alabama.